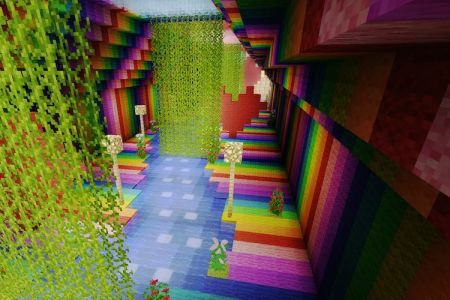 The Minecraft Tunnel of Love is a romantic addition to any park, estate, or even a survival map. Besides being absolutely adorable it is definitely not a sight for sore eyes, even if you never take a romantic trip through. Or if you’re just like me, and take romantic trips all alone. This is just a fun little addition, necessary for any amusement park or epic map. 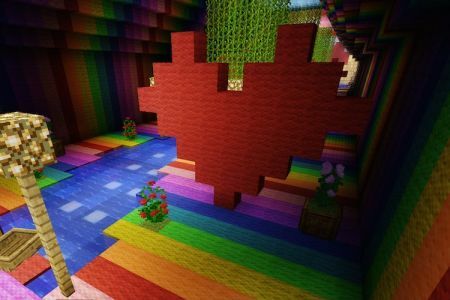 It’s also a great addition to an already formed river, add a lovely rainbow cover and make it your own. 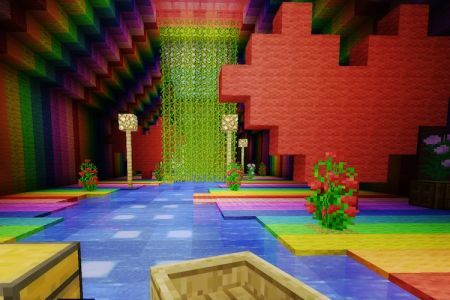 I used a rainbow pattern to form my tunnel, but you can of course use any material you like. It is a fairly simple concept to recreate and can be easily adjusted to make it unique and your own. 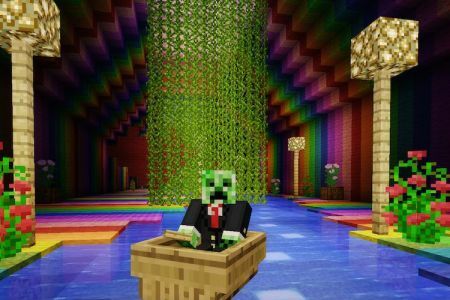 I started out by making the tunnel first and then I went through and made the inside. Adding the hearts, river, lamps, flowers, etc later on. That is personally how I like to create my work, but you can go the opposite way as well. Its easy enough, you just need to make sure you leave yourself plenty of room on the inside to accomplish what you want. I didn’t make my river very large, although afterwards I felt it could have been larger. It would be easier for two people to travel on boat together with a wider river going through. Instead of creating your own river through the tunnel you could always work alongside an already created one and then make it your own. You would make it your own by adding the outside shell along the already created river. I also added skylights in my tunnel, and not much else when it comes to seeing the outside world or letting natural light in. 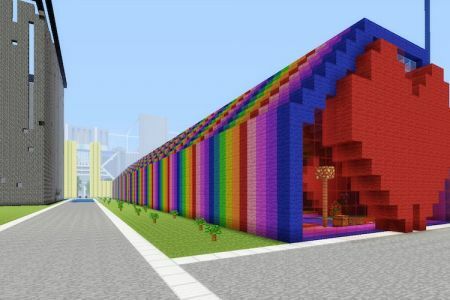 You can of course do whatever you like, adding more or less windows to see the outside. 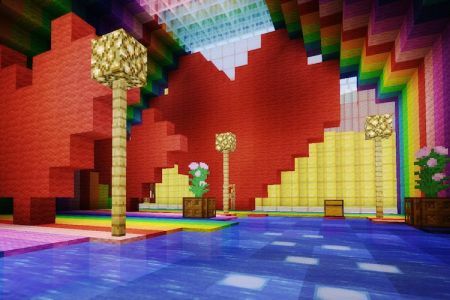 The concept of a Minecraft Tunnel of Love is just cute and I really like it. 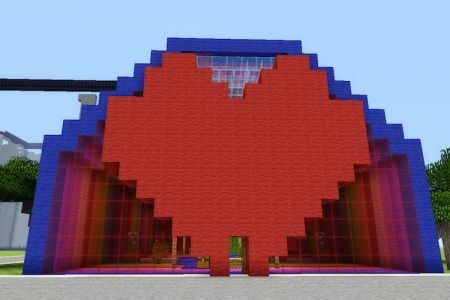 I probably like it mostly because it is so colourful and has many hearts throughout, and I love making hearts. Its just romantic, and sweet, and I felt a necessity for my amusement park. So its a win win. 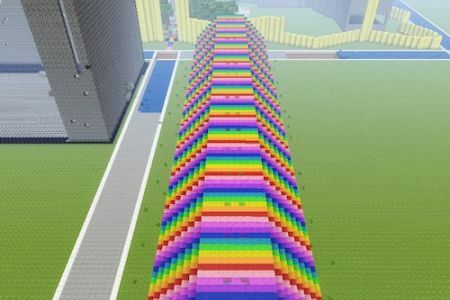 There is always the possibility of making various tunnels however, and you can really work with this idea. You could create a tunnel of horror, or a tunnel of ice, etc. the possibilities are endless. Which I always love! 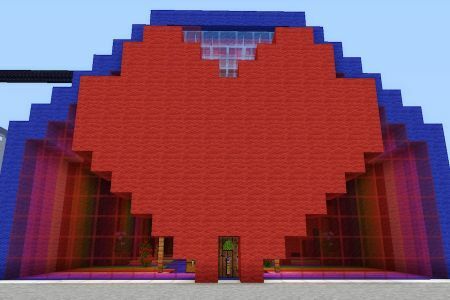 My biggest struggle was coming up with what to add on the inside that fit the theme of “Minecraft Tunnel of Love”. 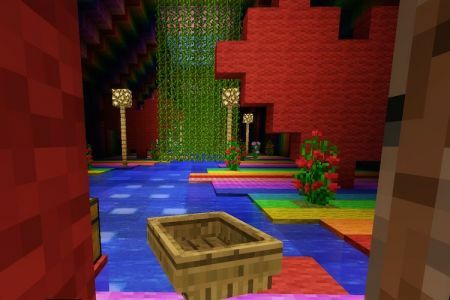 I wanted it to be sweet and romantic, as sweet and romantic as Minecraftingly possible.